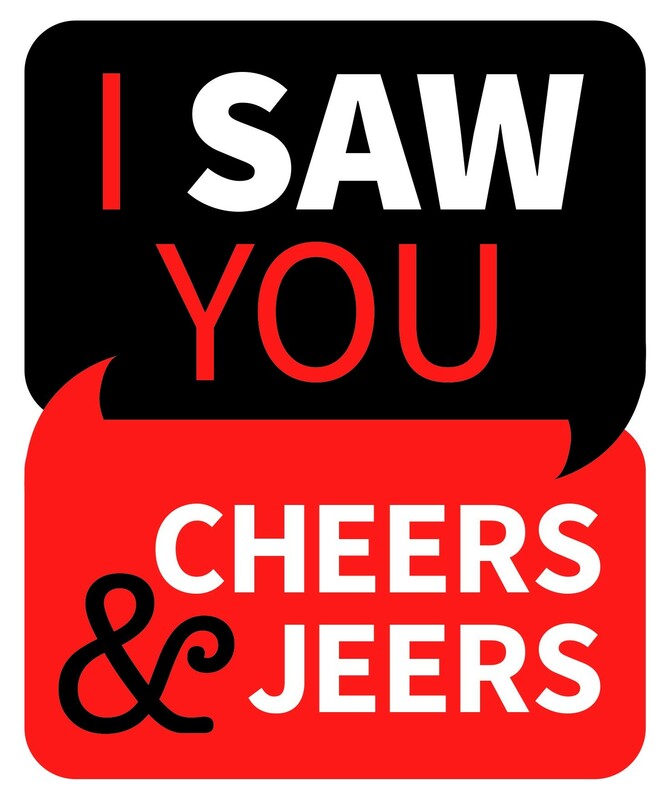 Too much to drink at reunion: I saw you from across the room at my 10-year reunion. I was lucky enough to catch your eye. Though we both had too much to drink, I would love a do over. I owe you some quality time soon. Curley's cruise: "A." I lost you in the shuffle. Hot dogs and chocolate (peanutbutter cups). I will bring the chocolate. Would like to chat some more." R"
Smoke attracts beauty: I (barely) saw you in the parking lot of the North Winco on Aug. 19. The air quality was so bad that we both decided to wear bandanas over our faces. I admire your ability to smile and laugh through the struggle. You looked gorgeous in turquoise. To my sweet baby love: Cheers to this brand new love that we've formed. Thank you for loving me through all of my terribly sad moments and my extremely inebriated moments. Thank you for swimming to the booey with me and thank you for letting me DJ in the car whenever I have sappy love songs or old school blues stuck in my head. Thank you for kissing my thighs when you leave for work each morning, they tingle with impatience of your return. Thank you for finishing my food for me when I insist on ordering double the amount I could ever finish. And for letting me order double and not judging me. Cheers to many more Dominos orders, to many more of your t shirts being borrowed, to many more horror films and office reruns, to many more cda adventures and drunken days and to many many many and any moments spent together. Most of all, cheers for showing me what love really is. River rescue: I overturned my kayak on the Little Spokane River yesterday and I thank Matt and Jessica from FAFB for the ride to shore on their raft, and especially to Jim (USAF Retired) for guiding my husband and our two boats to one of the very few landing spots on that stretch of the river My husband and I are grateful to them for coming to our assistance and also for their service to our country. Read me: Cheers to the 10 percent of drivers who use their turn signals. I always make room for you because you ask to change lanes. It must be frustrating for all the others who think we can read their minds and just "take" the opening that isn't there. Also, to the young man I saw on his motorcycle going 10 mph under the speed limit on the outside white line, I didn't notice until I passed you that you were texting. Your family and friends will miss you when your luck runs out. My best friend: You put up with a lot when it comes to me. Stress has been the center of our world for far too long. Let's do something for us soon. I love you more. Bottom to the top: I don't know what happened it all went so fast. You saved my life and I hear you love me but where are you? My birthday is Aug. 30 and all I want is to see you for a few min. To say hello and begin again or say goodbye and go our separate ways. I can't stand the thought of my life without you but I can smile and be happy if you are truly happy and can be you. Your a truly amazing person. I pray that no matter what you get the fairytale. I hope to date you. Here is to a clean and sober life. Remember though no matter what be good to ones you love or loved. It's my turn to get us a place. P.s. I love you let me woo you. We may be homeless but we look good together. Let's go from the bottom to the top and change the world. Follow suit: Cheers to Value Village! Thank you for eliminating the "free" plastic shopping bags. It amazes me how hard it is to get cashiers in other stores to use my reusable bags. I always end up with plastic bags. Are we really that entitled as a nation? With the waste we create, it's no wonder so many other nation's hate us: uneaten food, imperfect produce thrown out instead of given to the homeless, and our most precious commodity, clean water. Our oceans are filled with plastic (including unnecessary straws) and animals are dying off at an unnatural rate. Is it only when all of us realize that we can't eat money, will we finally care for this planet? I've heard customers get angry to pay for these bags but you better prepare yourself. It's one small change of many to come. Eliminating bottled water would be another step in the right direction. I just hope it's not too late, because Mother Nature always wins. Loma Park graffiti: Cheers to the moms and dads who took the time to clean the graffiti of the toys at Loma Vista Park. And caring for a place for the kids. Great job! You rule! The frogs like you too: To the homeless man, who was washing the windows at the Garland Mart. I am struggling with mental illness, and was about ready to start walking to California. Alone. Even though I am a female. And can barely walk a few blocks on a good day. I don't know what may have happened. Your kindness let me call my momma to come help me instead and that saved my life. Thanks and bless you! The frogs like you too. To Bitter Brownes Additioners: Jeers to the bitter neighbors in Browne's Addition who complained enough to cancel an enjoyable and honored event that people look forward to every year. Elk Fest. Two days of music, booze and fun. And because you like the quiet...you cry to the city? To the owners? What do you live for? Peace and quiet? You should gather your strength to thank God you can hear the beautiful music and vibes that this event brought forth each year. Shame on you and your selfish non-community ways. Nobody thanks you.